A tattoo exhibit was held in November at the Art Display Room in the N building. I expected to see people standing around showing off their body parts, but no, it was just pictures, which made it much less awkward for me. 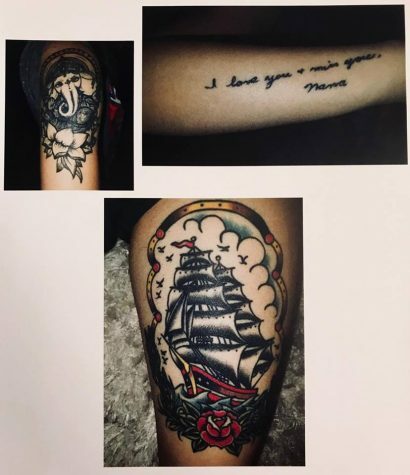 The pictures were brilliantly paired with what we always wonder when seeing a tattoo on a passing stranger: Why? Personally, I’ve always thought it was beautiful that people could like something so much that they would want it permanently sewn onto their body. 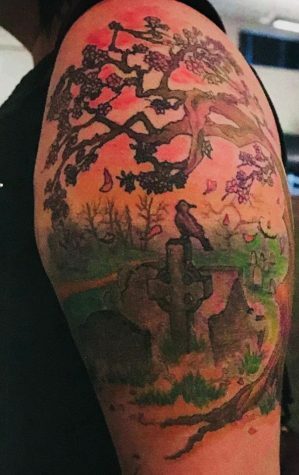 Tattoos can remind people of strengths they have or lack, remind them of someone they miss, or turn them into a walking display case for their favorite art or phrase. The stories behind tattoos are what we all want to know. 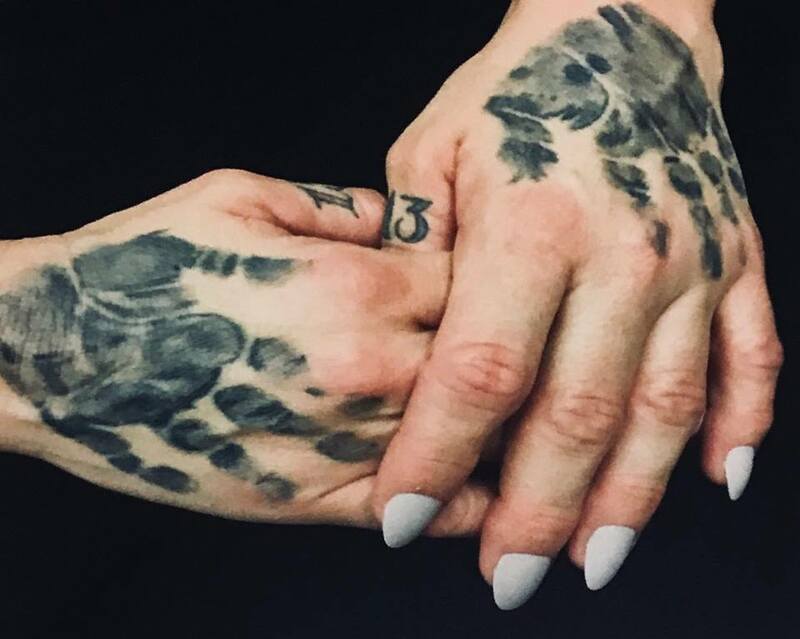 Tattooed hands immediately captured my attention because of how different they were. The description revealed that they were the student’s oldest son’s handprints. She writes, “When he was eighteen months, he loved watching movies on my lap. He would bring my hands onto his lap and then place his hands on top of mine. And there he would sit for an entire movie. If I tried leaving, he would get upset, so I always just sat and watched with him.” This tattoo and the reason behind it is absolutely adorable. Not all tattoos had an explanation, but I loved the one with the ship framed with the rose so much that I had to include it into my story. There were so many beautiful tattoos wrapped around the entire room, and I hope everyone got a chance to see them all. Every tattoo has a story to it, even if we’re forced to imagine the story because it’s too personal to explain. People allow their bodies to tell their stories, and they become walking poetry.